When using ArcGIS Online be mindful of your credits usage. Using up all your credits will result in the suspension of your ArcGIS Online. This suspension will be lifted once you buy additional credits. – Named Users: When you buy additional NU, they expire with the other NU of the existing AGOL. The pricing of the new NUs is prorated for that term. The new NUs are thus linked to the existing subscription. This simplifies things as there is only one end date: the end date of the AGOL and of all its NU. What is ArcGIS for Server and what can I do with it? How can I embed my map into my own website? After creating a map in ArcGIS for Desktop or in ArcGIS Online, you can share it in different ways. One of these sharing options, is to embed the map into your own website. This can be easily accomplished by copying and pasting the HTML-code which is automatically generated by the ArcGIS Online platform. How can I create my own web apps? After creating a map in ArcGIS for Desktop or in ArcGIS Online, you can share it in different ways. One of these sharing options, is to create a web app. You can choose different templates and add more options to this web app. For example: you could add the option ‘print’, which means that the viewers of your web app can print your map. It’s totally up to you to determine what external users can or can’t do with your map. Here you can find an example of a web app: http://gis.irisnet.be/bruciel/#You can localize important sites in Brussels and compare them over time – this was one of the options that was added by the creator of this web app. How can I perform spatial analyses using ArcGIS for Desktop? ArcGIS for Desktop offers several possibilities to perform spatial analyses. There are four categories of spatial analysis: proximity, overlay, statistical and temporal analyses. How can I share geographical information? Sharing your maps, models, toolboxes, etc. with your colleagues or with others, enhances the internal efficiency. You can share your geographical data in several ways via ArcGIS: you can share your models/toolboxes without the data, or you can package your data with the model/toolbox. Furthermore, you can also choose to share your data using your own ArcGIS for Server or by using ArcGIS Online. How can I solve spatial problems? Solving spatial problems becomes easier when you use GIS-software. There are several geoprocessing tools available to use, such as buffer, clip, intersect, union, merge and spatial join. How can I edit my map lay-out before printing? If you would like to print your map, you will need to determine the lay-out. This can be done with ArcGIS for Desktop. You can give your map a title, insert a legend, display the scale, choose the printing format, add a frame, etc. How can I create, visualize and manage geographical data? A map consists of a base map and a number of additional layers. You can use ArcGIS for Desktop software and/or ArcGIS Online to create a map with layers. First you add the base map yourself (personal data) or download it from the internet (open data). Next, you can add extra layers to your base map after which the map can be used for further analysis. You can create data yourself with the available geoprocessing tools, or download it from the internet – after critically assessing it. What is a GIS and what can I do with it? 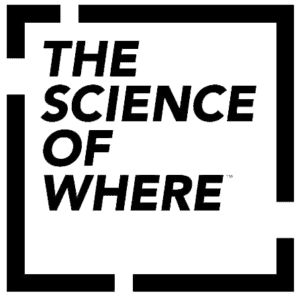 A GIS (Geographical Information System) combines locational information (geographical information) with attributes (the characteristics of an object). If you are using ArcGIS software and you want to get in touch with our helpdesk, please use the Support Form, or call the helpdesk number mentioned at the left. For any other question, please fill out the form below. We will quickly get back to you. By submitting your question you give us your permission to contact you by email and/or phone in relation to your specific question. Here you have the option to get other interesting information about ESRI Belux and GIS solutions. Just try it. If you do not like it you can unsubscribe immediately.